Fancy yourself as a bit of a lawn bowls pro? Show off your skills at the Gran Centenario Lawn Bowls Tournament. 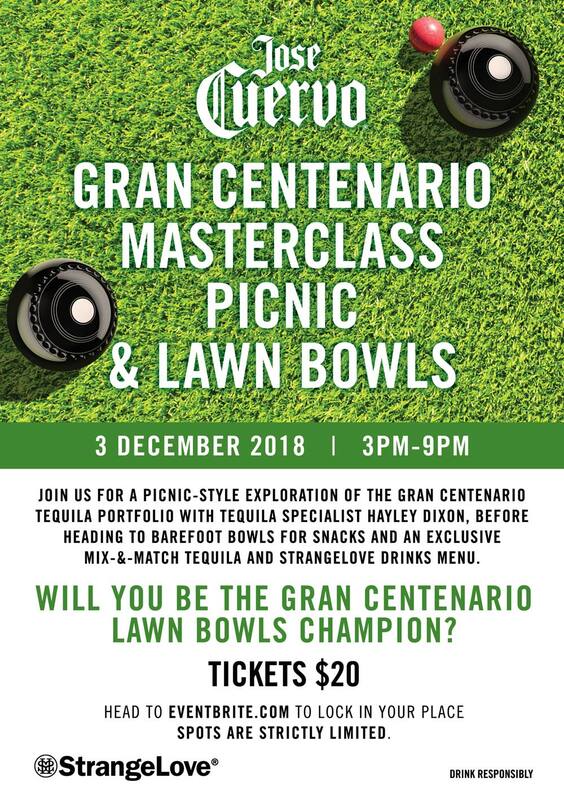 On 3 December, Jose Cuervo will host a Gran Centenario masterclass picnic with Tequila Specialist, Hayley Dixon, in Fitzroy Gardens, Melbourne followed by a barefoot bowls tournament at the Fitzroy Bowling Club. Expect picnic rugs, crystal decanters and glassware, great tequila, great chat, sensory pairings and cucumber sandwiches. Then get stuck into a Tequila and StrangeLove mixing session while you show ‘em what you’re made of and play to become the Gran Centenario Lawn Bowls champion.